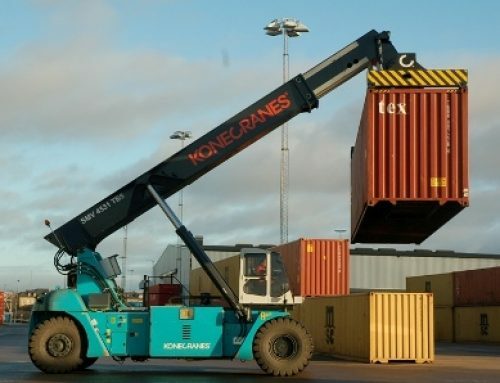 Our engine powered range of forklifts are the cornerstone of our business. 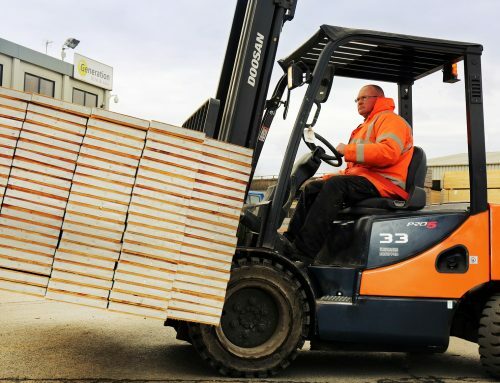 Building rugged, reliable, yet simple trucks, has allowed us to become the leading provider of value forklifts in the UK. Virtually maintenance-free, oil-cooled disc brakes are is standard equipment. The enclosed brake system eliminates outside contamination significantly extending the brake life up to 5 times longer when compared to conventional shoe brakes. That’s why they come with Doosan’s industry exclusive warranty. Strong one-piece cast housing aligned axle components, with a high tensile alloy steel axle shaft to extend axle life. The splined side gear and drive hub gears transmit high torque to the drive wheels. Top mounted control valve accurately modulates clutch oil pressure providing smooth forward / reverse direction changes and extending transmission life. Top located plug type test ports mean they are easy to check and clean. With an aligned taper roller bearing design to operate in contaminated environments and high impact applications, whilst ensuring low-effort steering and faster response. The aluminium radiator provides excellent cooling capacity with improved air flow comfortably meets the demands of the engine in high capacity operations in high demand environments. 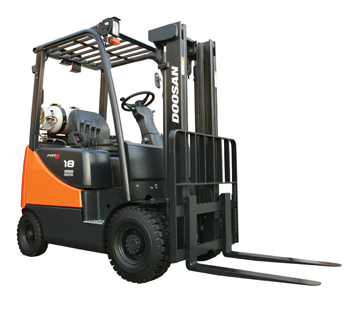 Doosan’s goal is to make your material handling organization as efficient and reliable as possible by minimizing your forklifts down time to reduce overall maintenance costs. 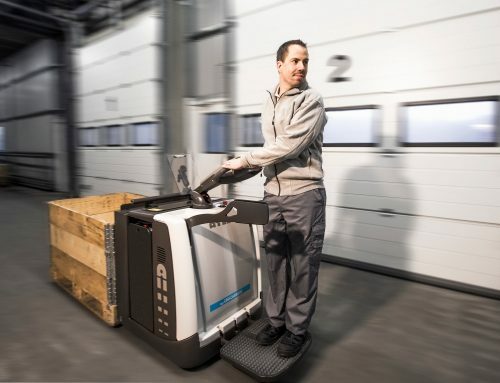 Doosan knows that that operator comfort is a key element in the productivity level of any warehousing materials handling operation and the Pro-5 range includes key features to achieve the maximum level of comfort and efficiency. Ample operator leg room, tillable steering column and ergonomically positioned operator pedals combined with allow cowl height facilitate ease of operation. The centralized and integrated easy-to-read instrument panel maximizes operator efficiency. Fuel gauge, engine hour meter, engine oil pressure, coolant and transmission temperature,mast interlock, transmission neutral, seat belt, brake oil level gauge keeps operator aware and informed of all vehicle performance systems. Parking alarm warning when operator leaves the seat without engaging the parking brake. Seat belt indicator warning light for 10 seconds reminds operator to employ the seat belt. Neutral shift transmission means the transmission is automatically shifted into neutral when the operator leaves the seat with the engine running and the direction lever in forward or reverse. 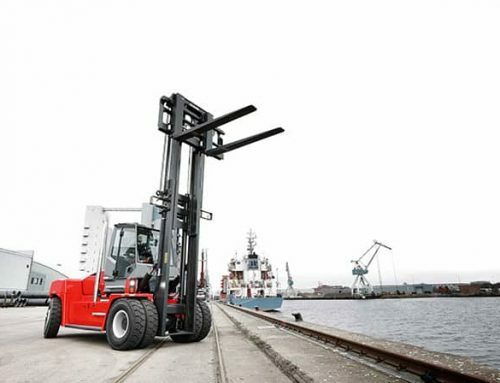 When operator drives in reverse, the rear grab bar enables horn activation to alert surrounding personnel.